Pakenham Rotary Club has awarded four members with the highly-prestigious Paul Harris (PH) award, recognising their significant contributions to the community. First-time winners Des Wynne and Stephen Fisher joined Roger Thornton and Tim Ahern, who were both receiving Sapphire pins to complement their past PH awards. All four recipients showed visible emotion when bestowed with the acknowledgement at the club’s changeover meeting last week. Mr Thornton, a member of Pakenham Rotary for more than a decade and a PH award winner in 2013, summed up his elation. “You don’t do it for the badge, you do it because you care,” he said. 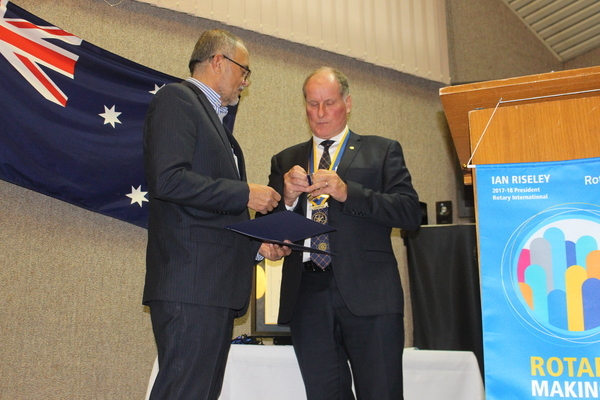 Brought close to tears by his recent charitable trek to Timor-Leste alongside former president Greg Peck, Mr Thornton stressed the importance of Rotary. New president Goran Galic recognised the achievements of the four, before announcing his new board. 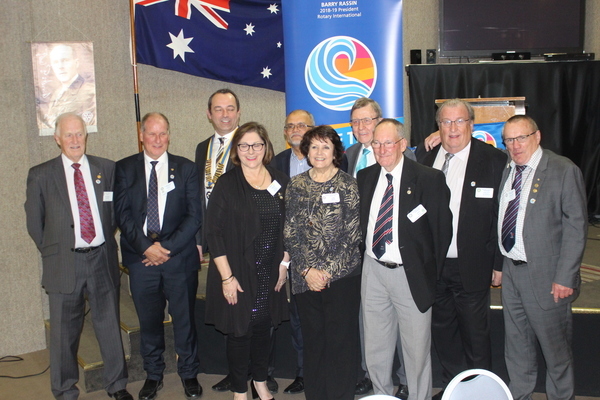 “I’m sure you will all agree that these four members live and breathe the Rotary spirit and are amazing servants to the Pakenham Club,” he told members on the night.